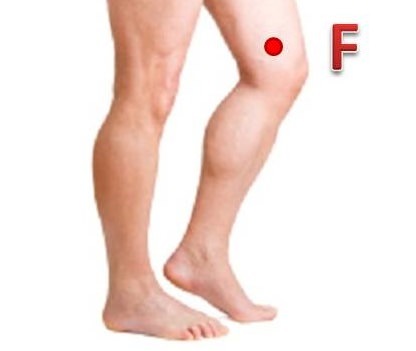 8 Pressure Points for Knee Pain! Before you start: If you have a serious illness or life-threatening disease such as heart disease or cancer, consult with a professional before practicing acupressure. Drink plenty of warm water after the massage. This will help clear away toxic substances in the body. Location: This point is located just below the kneecap in the outer indentation. Location: This point is located on the outside of the lower leg, below and in front of the top of the shinbone. Benefits: Massaging this point will relieve excessive knee pain, muscular tension, aches and muscle strains. 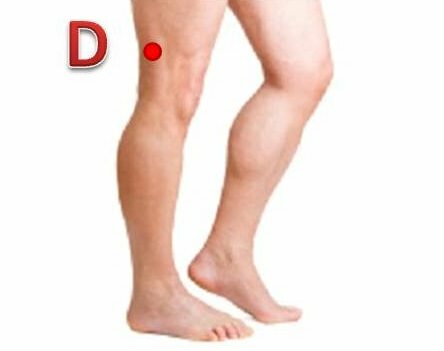 Location: Measure four finger widths below the kneecap and located just on the outside of the shinbone is the Three Mile Point. 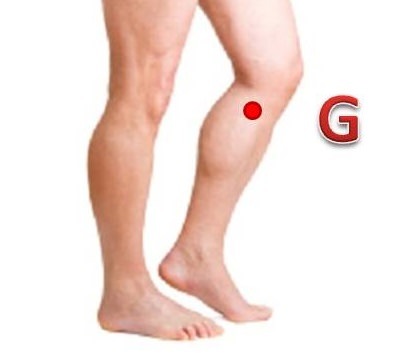 Benefits: Applying pressure to this point will strengthen your whole body, tone your muscles and relieve knee pain. Location: On the outside of the knee, just where the crease ends when the knee is bent, you will find the Commanding Activity point. Benefits: Apply pressure here to relieve knee pain and stiffness. Location: On the inner edge of the knee crease, in the hollow between the two tendons. Benefits: This point alleviates knee pain and abdominal pain. Location: This point is located on the inside of the knee, just where the crease ends when the knee is bent. Benefits: Massaging this point relieves knee pain, fibroids, and swelling in the knee. Location: This point is located on the inside of the knee, just on top of the shinbone. Benefits: Massaging this point relieves knee problems, swelling, leg tensions, varicose veins, edema, water retention, and cramps. 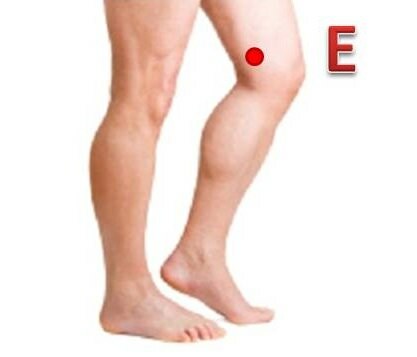 Location: This point is located at the center of the back of the knee. Benefits: Massaging this point will help relieve knee pain, stiffness, arthritis, back pain, and sciatica.